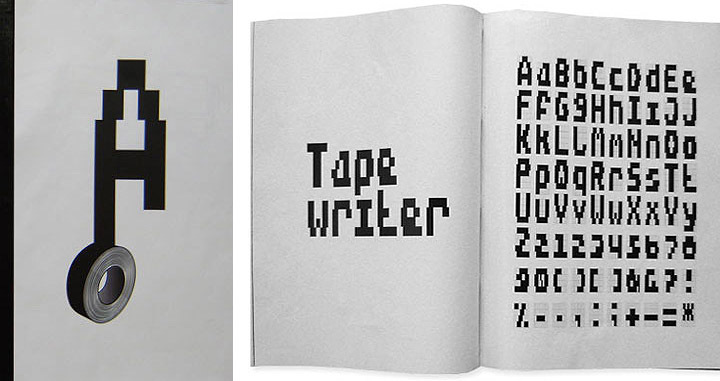 Dutch design studio Autobahn, founded by Maarten Dullemeijer and Rob Stolte, created the font Tapewriter while experimenting using duct tape as the writing material and outdoor metal fencing as their canvas. 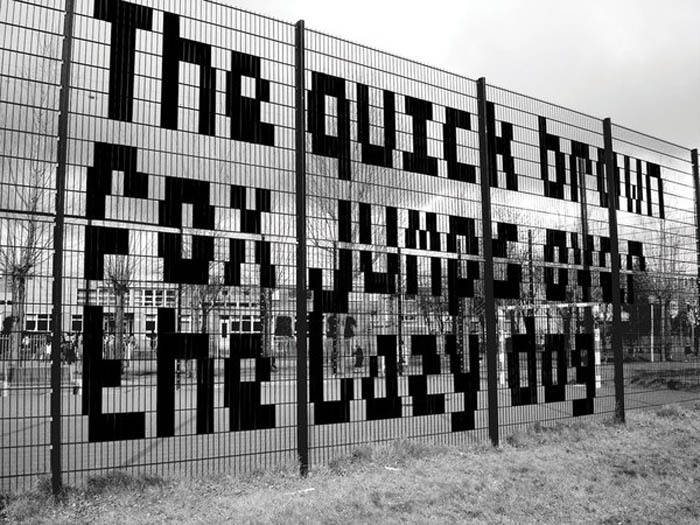 Each rectangle in the fence matched the width of the duct tape, creating a kind of bitmapped effect when words were taped out on the metal grid. From street art and free expression to font…interesting. This entry was posted in Fun, Graphic Design, Pop Culture, Street Art, Stuff We Like, Typography. Bookmark the permalink.